“I have been placed in Cedar Hall – Where is that?” “Oh, it is in the Arbor Park complex – you know, out near Parking Lot J” . . .
CLEAR Right? Not so much. The residential complex at Western Oregon University is located on the North end of campus and encompasses many buildings, several parking areas and houses academic as well as residential and dining facilities. 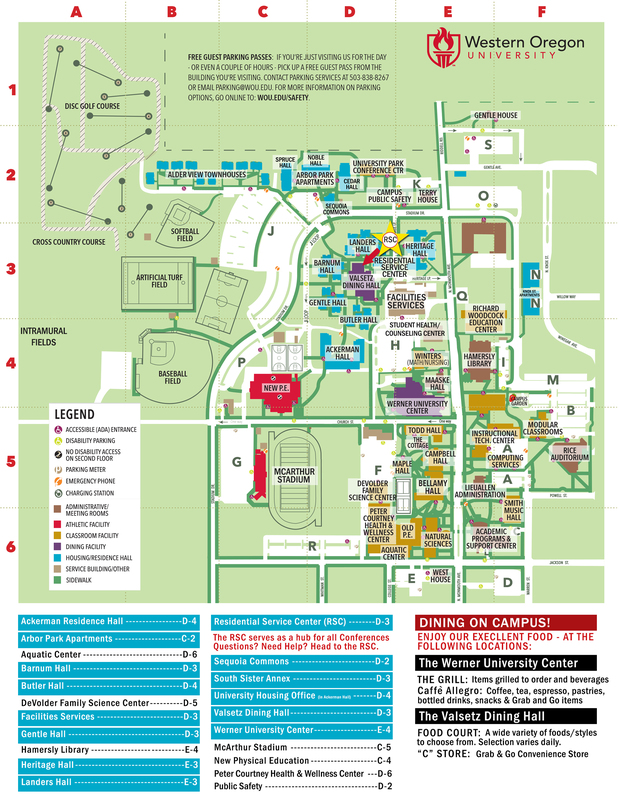 Take a look at the map below to get your bearings as you head into the residential complex at Western Oregon University! NEED DIRECTIONS TO CAMPUS? WE’VE GOT’ EM!